In Part 1, I reviewed some of the strengths of the Revised Catechism Field Test. In Part 2, I looked at some new things that didn’t quite work. In Part 3, I go over what I see as problems that are severe enough to force me to return to the 1943 edition in my parish. Deficiencies of the old explanation remain, and in some cases, have been made worse. The old explanation had only two questions about the resurrection. The proposed revision does not ask at all about the fact or the significance of the resurrection It is recorded in all four Gospels. Paul devotes an entire chapter of Corinthians to its significance. Without it, we are above all men to be most pitied. If the revisions are accepted without fixing this, it would practically disqualify the new catechism for use in the Lutheran Church – or really in any Christian Church. It is an especially stunning omission, given the new catechism’s focus on apologetics. This is THE apologetic challenge for the church, and always has been. One may argue that it is addressed in more than one answer to various questions. But there are 6 specific questions on the states of humiliation and exaltation – which makes its appearance in the Lutheran Symbols only in one article of the Formula. You would think that perhaps one question might be spared for the sine qua non of the Christian faith! Left unimproved is the Lord’s Prayer’s Law-focus. The 1992 questions speak only of the need to pray in terms of Law, never Gospel. Luther talks of Prayer as a great gift. But the promise of God to hear our Prayer, and the benefit of prayer in our state of great need in this world are never covered. Instead we are presented with the Lord’s Prayer as a way to fulfill the commandments (“What is the connection between this petition and the second Commandment?”). True, the Lord’s prayer does this. But it is also the way that Christians express and live out their faith, while asking God to fulfill that which he has promised. 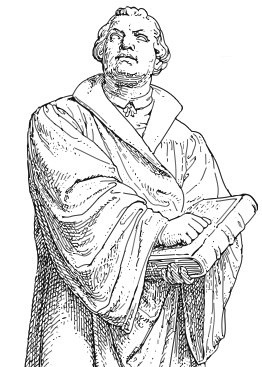 Luther makes the connection repeatedly in the Large Catechism. The revisions do not mention it. The section on Baptism still keeps the discussion of Infant Baptism in Part 1. In the Large Catechism, Luther discusses it after he discusses the benefits of Baptism. The problem with the approach taken in the explanation (as anyone who has an Arminian friend can attest) is that the argument invariably devolves into a discussion of what is meant by “all nations”. For Luther, the discussion of Infant Baptism is centered entirely on the benefits of Baptism, and how those are given to infants who can believe, but can not yet articulate the faith. The benefits of Baptism for infants are discussed in the explanation. But that happens before the benefits of Baptism itself are presented. Left un-discussed entirely is Luther’s point that Baptism is God’s Work, and has God’s Promise. While faith receives the promise, faith must have an object. That object is where God has promised to be in His Word, connected to water. This discussion would be very helpful for apologetics, given America’s strong Arminian religious background. But once again, it is entirely missing. In Part 4 of Baptism, Luther’s connection between “contrition and repentance” and “Confession and Absolution” is missing. It is not in the old explanation either. But it is a key point in the Large Catechism, and it should be restored. Inexplicably, explanation for “Confession and Absolution” is placed after “The Office of the Keys.” That is not the order it is presented in the text of the catechism itself. Perhaps the committee hopes to reverse that order (as it was in the 1943 catechism) when the catechism is printed. They have been given no authority to even recommend changes to the text of the catechism itself. When the new hymnal was introduced, the synod in convention resolved not to change the text of the catechism itself. The committee has been given no authority to do so. Which means that the explanation will not present the catechism in the same order that it is presented in the text of the catechism. That is simply bad pedagogy. For all the boasting about added scriptural references, some important passages are missing. In the 1992 revision, the question about the seal of the confessional had three bible verses in support of the pastor “never revealing sins confessed to him”. In the new revision, that has been reduced to 1. If we are to restore the treasure of private Confession and Absolution to the life of the church, it is imperative that we speak of the seal of the confessional in the clearest terms. The 1992 revision is clearer than the new proposal, and so is to be preferred. I do like the inclusion of hymn references at the end of each section. But for those who are being introduced to the faith, having those references without the hymn verses themselves limits the benefit. Those hymn verses should be printed, or not included. I have not gone through each question with a fine-tooth comb. Each review I have seen makes note of one or two questions with answers that are doctrinally misleading at best, and false doctrine, at worst. I did notice that one question gives a factually incorrect answer. Question 93 states “Each of (the three creeds) clarifies specific areas of doctrinal controversy and confusion.” This is historically demonstrable regarding the Nicene and Athanasian Creeds, but not the Apostle’s. Its first use is as a Baptismal creed, not as a creed for clarifying specific areas of doctrinal controversy. As noted in previous parts of my review, the committee is to be commended for their work. But, having missed receiving approval at this past summer’s convention, we now have until 2019 to finish the revisions. I have heard that there may be a desire to simply skip that step and begin printing the revisions without convention approval. That is a bad idea. There needs to be more conversation on this than simply an online survey. The changes suggested are significant, both regarding the content, and the method of instruction. No part of the survey even asked about the changes to the method of instruction, or the assumptions behind it. This catechism – if it used at all, will affect the instruction of our children and grandchildren. The catechism is the “laymen’s Bible.” It is the means by which pastors fulfill the command of our Lord to “Teach them to observe all things I have commanded.” It should not be taken lightly, and any changes to the content or method – and they are many on both counts – should be thoroughly discussed. There is much good in the revisions. But there is also much that needs to be improved. There are also disqualifying errors in the format and content. I would neither be able to use it, nor recommend its use to others. In its current form, I would recommend that pastors hoard copies of the 1991 explanation for as long as possible. And when those run out, revert to the 1943 version. It is missing a great deal regarding changes in the surrounding culture in the past 75 years. But it avoids the confusion that the current proposal would bring to the church. Once again, the committee has done excellent preliminary work. But the difference between a mediocre book and a great book is an editor. While the members of the committee are all professional theologians, none of them actually teach the catechism to children in the parish. The next step in editing needs to be choosing a group of pastors who will actually be using the catechism to instruct children and adults, and have the theological and catechetical acumen to properly evaluate the revisions. Yes, this would slow down the release – perhaps by a couple of years. It would not be ready in time for the 500th anniversary of the Reformation. But this is too important a work to leave half-finished solely to meet an arbitrarily imposed marketing deadline. What we have is a fine first draft. But that draft needs significant work of a specialized kind that the scholars and theologians currently serving on the committee can not offer. Commend them. And then pass this on to the next group, who can hopefully complete the fine work they have started. 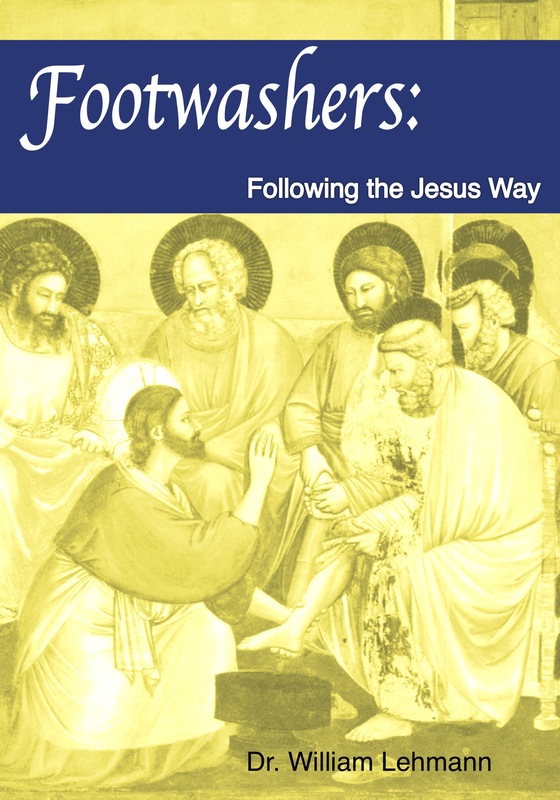 This entry was posted in Catechesis and tagged Catechesis, LCMS, Theology and Culture. Bookmark the permalink.